As Seattle continues its boom, the relaxed charm of small towns seems all the more attractive. These Northwest hamlets, brimming with character, friendly locals, fantastic food and scenic views, are some of our favorite places to get away from it all. Mackay, a seasoned Seattle restaurateur who helped run El Gaucho in the ’70s, and revived and expanded it in the ’90s, was quickly bitten again by the restaurant bug. Conventional wisdom would dictate that he open a place within the city limits of Walla Walla, home to fine dining options such as Saffron Mediterranean Kitchen and the Whitehouse-Crawford restaurant. Instead, Mackay found his ideal location 30 miles to the northeast, in Dayton, a town of 2,500 residents with a main boulevard wide enough to accommodate an Old West gunfight. 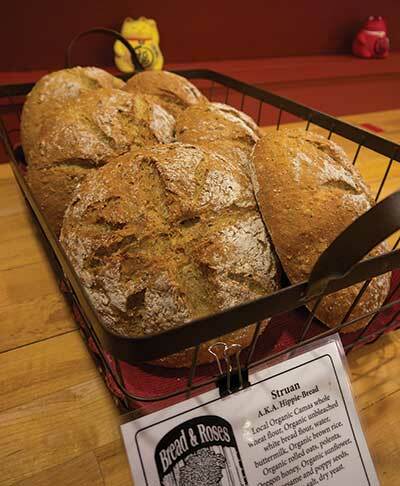 With Dayton resident Aimee McGuire, a chef who ran the Walla Walla farmers’ market for several years, Mackay assumed the reins of the old Country Cupboard earlier this year and rechristened it the Moose Creek Cafe & Bakery, where comfort food wins the day. 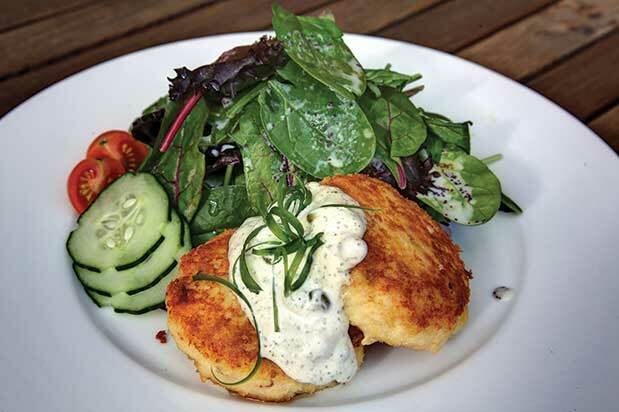 A more upscale dining experience is offered at Patit Creek Restaurant, a four-star French place on the edge of town that Bruce and Heather Hiebert opened in 1978. Portraits of Hollywood legends line the wood-paneled walls, and the restaurant’s loyal patrons—who travel for hundreds of miles—insist that rich, filling classics such as chicken Florentine, mushroom caps, tomato bisque, and veal never leave the menu. While Main Street is typically serene, hundreds of jackass jockeys annually descend upon the town for Mule Mania, which will take place over Memorial Day weekend this year. Participants’ campsites spill onto the ninth hole of the Touchet Valley Golf Course (located in the infield of the Columbia County Fairgrounds) during the event, which features mule driving and riding competitions, and chuckwagon cooking. “[Golfers] only get to play eight holes during Mule Mania,” quips Mike Spring, a former fire chief who now runs Chief Spring’s Fire & Irons Brew Pub, which slings pretzels, pizza and pints (about $30 for a large pizza and a couple of pints of beer). 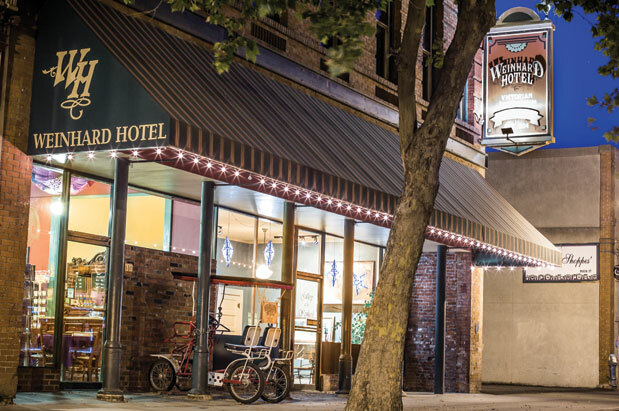 The pub is located across the street from the Victorian-era Weinhard Hotel, which boasts antiques-filled rooms and a complimentary continental breakfast. Mackay, a seasoned Seattle restaurateur who helped run El Gaucho in the ’70s, and revived and expanded it in the ’90s, was quickly bitten again by the restaurant bug.Conventional wisdom would dictate that he open a place within the city limits of Walla Walla, home to fine dining options such as Saffron Mediterranean Kitchen and the Whitehouse-Crawford restaurant. 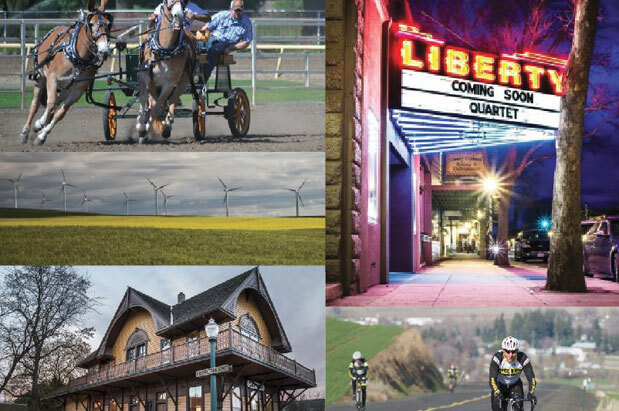 Clockwise from top left: The annual Mule Mania event entices crowds to town for Memorial Day weekend; Main Street’s Liberty Theater; cycling with a view, just outside of town; a windfarm on the gentle hills on the edge of town. Photo Credits: Theater and cycling: Nick Page Photography; all others courtesty of Dayton Chamber of Commerce. While Main Street is typically serene, hundreds of jackass jockeys annually descend upon the town for Mule Mania, which will take place over Memorial Day weekend this year. Participants’ campsites spill onto the ninth hole of the Touchet Valley Golf Course (located in the infield of the Columbia County Fairgrounds) during the event, which features mule driving and riding competitions, and chuckwagon cooking. “[Golfers] only get to play eight holes during Mule Mania,” quips Mike Spring, a former fire chief who now runs Chief Spring’s Fire & Irons Brew Pub, which slings pretzels, pizza and pints (about $30 for a large pizza and a couple of pints of beer). Dayton is about 270 miles southeast of Seattle, and 30 miles to the northeast of Walla Walla. Take I-90 E to Washington Route 26 E.
It pays to plan ahead for your island getaways these days; spontaneous types may lament the dearth of drive-on slots, but we planners adore Washington State Ferries’ new reservation system. No longer squandering hours at the ferry landing to ensure a ride, these days we pull up 45 minutes before departure and happily skip the mediocre offerings at the Anacortes landing’s sole café. Still, it takes effort to get to Eastsound. That 90-minute drive from Seattle to the Anacortes ferry landing can stretch to two hours or more in traffic. That hour-long ferryboat ride—though it takes you through some stunning scenery—will cost you upward of $100, assuming you take your car and a passenger or two. But at the end of the journey awaits the jewel of the San Juan Islands: a lovely little village (population approximately 3,500) perched on an idyllic little bay. There are beautiful views, fine shops and restaurants, and a slow and friendly vibe. What you won’t find are chain stores, strip malls, traffic jams or even traffic lights. Sip a pint and browse for a book; peruse the offerings at the homespun Saturday farmers market (beginning this month and going through September); or slip out to sea in a rented kayak. It’s just the right mix of things to do—and beautiful places to sit and not do. Wander through town, stopping at Darvill’s Bookstore, the island’s cozy and excellent independent bookstore, and Crow Valley Pottery, next door. Cross the street for an inspired espresso—or a cup of drinking chocolate—at Kathryn Taylor Chocolates. Then, tuck into the snug new Madrona Bar & Grill for a jammin’ hamburger enjoyed in a comfy, rustic room with sweeping bay views. From Anacortes, 90 minutes north of Seattle, catch the San Juan Islands ferry (wsdot.wa.gov/ferries) to Orcas Island. Turn left after exiting the ferry for the 20-minute drive to Eastsound. Rosario Resort and Spa, 1400 Rosario Road; 360.376.2222; rosarioresort.com. 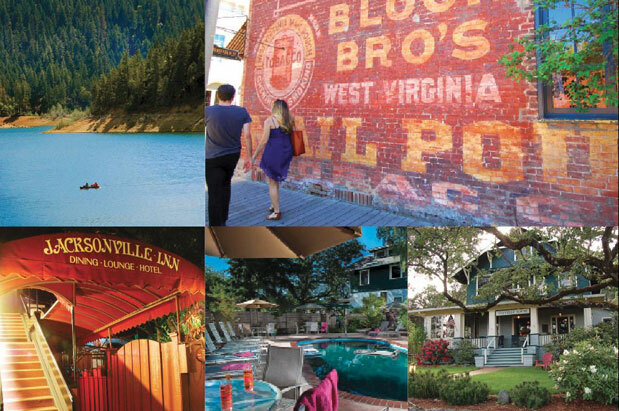 With Jacksonville’s main drag, California Street, seemingly unchanged since the days of horse-drawn carriages, its Wild West storefronts are just a few of the charming delights of this southern Oregon town. 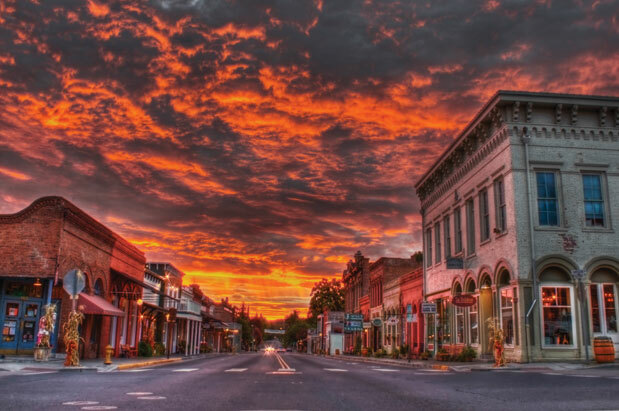 After gold was discovered in the area in 1851, the town boomed with enough settlers to make it the largest city in Oregon, and in 1966 the entire town was designated as a National Historic Landmark. 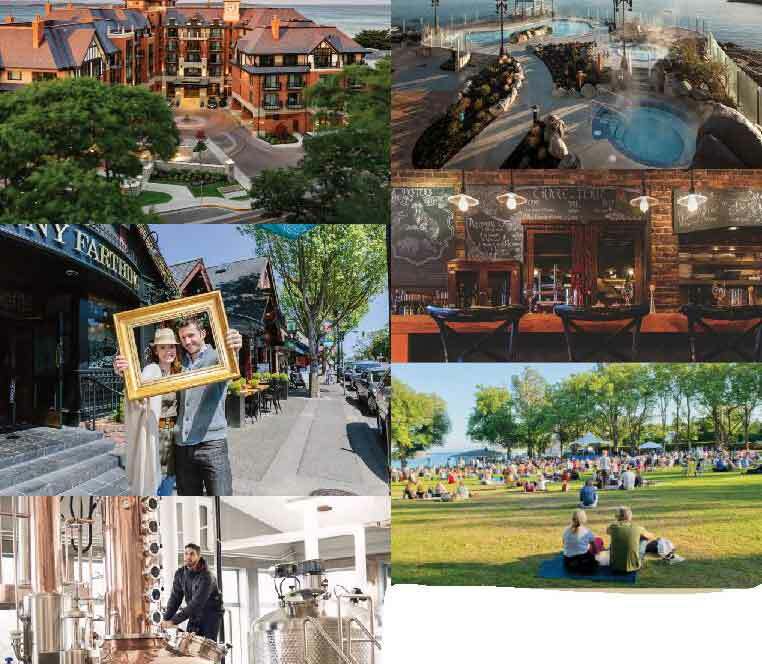 More than 100 charming historic buildings and homes in the small town (population 2,816) could make for a cuteness overload, but the town’s stellar food and wine scene makes it a gastro destination to rival a big city. 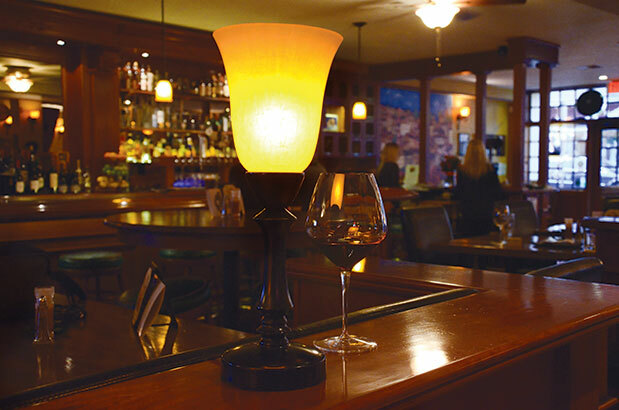 Try out the Jacksonville Inn’s farm-to-fork restaurant, where ingredients travel no farther than 100 miles before arriving on your plate; or pop in to sample the wines in the downtown tasting room of Quady North, an estate vineyard that takes advantage of the sunny and mild southern Oregon climate to grow French grape varieties. An entire itinerary could be built around the 18 wineries in the surrounding Applegate Valley and the 100-plus wineries in southern Oregon. A trip to Jacksonville plops a weekend visitor in an ideal location for day trips. Drive 90 minutes east to spectacular Crater Lake National Park or 30 minutes south to take in a play at Ashland’s renowned Oregon Shakespeare Festival. Or enjoy Jacksonville’s Britt Festival, a summer concert series that draws the likes of Willie Nelson and The Decemberists, and is held on the bucolic hillside grounds of the former estate of pioneer photographer Peter Britt. Be sure to head uphill to Jacksonville’s Historic Cemetery, a slice of 19th-century history that’s brought to life during summertime guided tours, which tell the sometimes tragic stories of Jacksonville’s dearly departed. Jacksonville is seven hours south of Seattle via I-5. 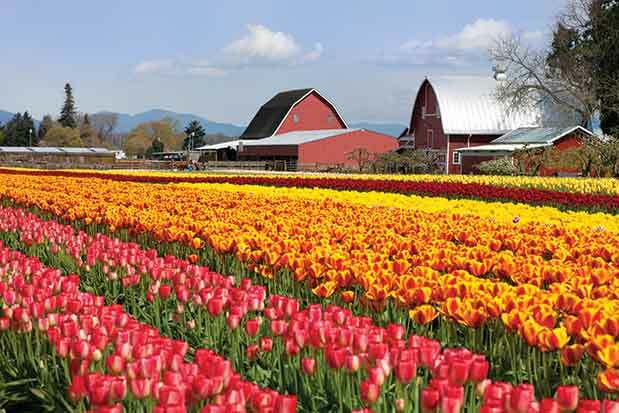 Hidden in the bucolic farmland of the Skagit Valley, just off scenic Chuckanut Drive and past the familiar daffodils, cabbage fields and flocks of white trumpeter swans foraging in the mud, lies the idyllic town of Edison, population 133. Founded in 1869 and named after inventor Thomas Edison, it was, at the turn of the 19th century, home to a 280-acre utopian socialist project named Equality Colony, which was devoted to farming and included a timber mill, school and blacksmith shop. Today, Edison is a two-block stretch of old storefronts on Cains Court, which includes some of the most eccentric and quintessentially Northwest dining, art and retail to be found between Seattle and the Canadian border. The friendly, flannel-shirt-wearing guy or gal you encounter there on a weekday afternoon is as likely to be a local artist as an organic farmer. No trip to Edison would be complete without a lunch that includes the house-smoked salmon at Tweets, with its charming tool-shed-inspired interior. Across the lawn, clad in weathered metal siding, is Mariposa, its discrete, diminutive and delicious Mexican satellite. For a decidedly different Edison experience, stop in at the Longhorn Saloon, a traditional biker bar frequented by locals and traveling packs of Harley riders. Here you can enjoy an afternoon pitcher or stay late for the live bands. At Breadfarm, with its large selection of delicious organic baked goods made from scratch, buy a package of the graham crackers for the best s’mores you’ll ever have. 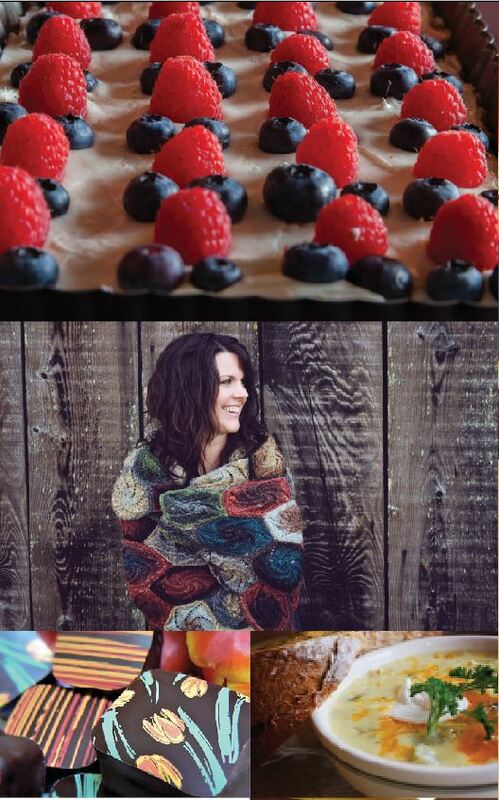 Clockwise from top left: the patio at Slough Food; the bounty at Bow Hill Blueberries; a classic loaf from Breadfarm; Ann Duffy’s oil painting of Edison’s Cains Court in I.E. Gallery; Tweets offers tasty treats in a quirky setting. Next door, Slough Food offers picnic staples, including regional cheeses and cured meats, as well as a rustic courtyard with tables out back. 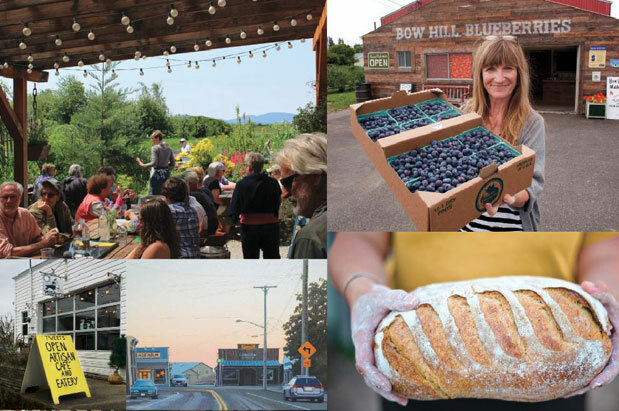 Load up on some farm-fresh road snacks on your way out of town at Samish Bay Cheese or Bow Hill Blueberries, where you can pick your own on weekends from July through mid-September. If you are looking to purchase painted ceramic owls or other uniquely Northwest crafts by local artists, dive into The Lucky Dumpster, located in the weathered building on the corner across the street from Slough Food. Much of the store’s merchandise, from the children’s clothing to the kitchenware, is fashioned from repurposed materials. Owned by the same folks who own Tweets, nearby Shop Curator offers an eclectic mix of antiques, handmade jewelry and home goods, curiosities and native art. There is perhaps no other small town in the region with such a high proportion of space allocated to exhibiting art as Edison. The Smith & Vallee Gallery, next door to the Longhorn, exhibits paintings and sculpture by established and emerging Northwest artists. While the work ranges from abstract to representational, nearly all of it pays homage to the region’s landscape and natural life. The gallery also showcases one-of-a-kind furniture and cabinetry by owners Andrew Vallee and Wesley Smith. 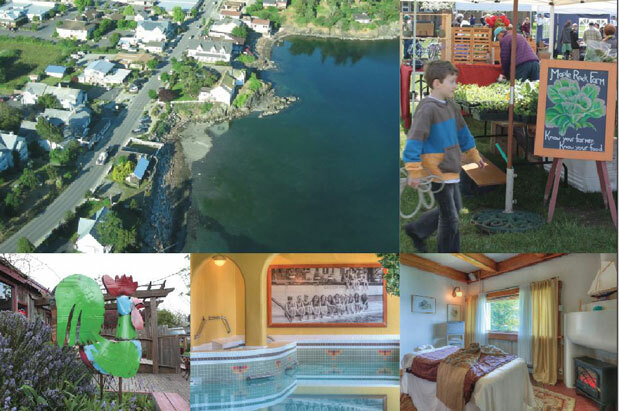 Edison is about one hour and 45 minutes from Seattle via I-5 N.
On the southern tip of Vancouver Island, 5 miles west of Victoria’s Inner Harbour, lies this sweet seaside community. Oak Bay is technically part of Victoria, but with double the posh and even more of a British bent. 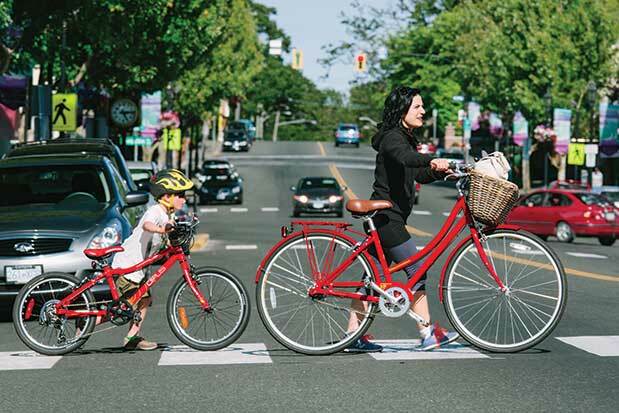 Tucked along the beautiful Haro Strait, Oak Bay is home to some of the most expensive real estate in Victoria, stretches of sandy beach, and high-end shops and dining options. You’ll come for the insanely luxurious resort hotel, with its waterfront mineral pools and private butlers (upon request). You’ll stay for the charcuterie. Styled in the manner of an enormous and grand English manor house, the Oak Bay Beach Hotel is a primo destination for small-town enthusiasts who like their base camps on the swanky side. Shrug off your bags (or toss them to the butler!) and set out for a stroll along the waterfront and a toe dip into the Salish Sea at nearby Willows Beach. Chat up the sommelier as you mull over the many options—including the amazing charcuterie—at Vis à Vis, a bistro in the heart of nearby Oak Bay Village, a little enclave of Victorian architecture and shops. Or opt for British comfort food (shepherd’s pie, bangers and mash) at the Penny Farthing Public House next door. 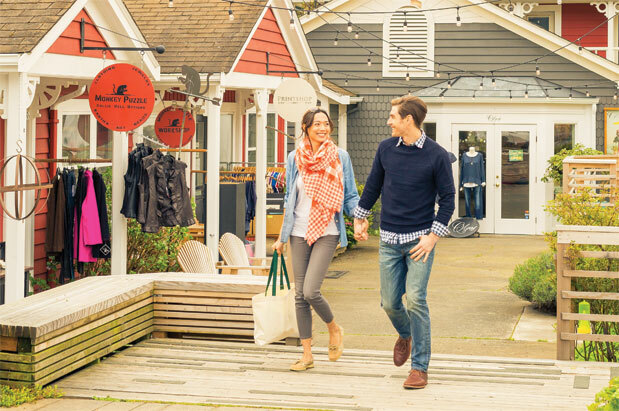 Stroll the galleries and boutiques in the village and pick up a souvenir or gift at Side Street Studio, which exclusively offers locally made pottery, jewelry, textiles and art, before retreating to the seaside soaking pools at your hotel. The next day, make a side trip to Victoria Distillers (formerly Victoria Spirits, the brand-spanking-new home of cult favorite Victoria Gin). Its new waterfront distillery opens this month in Sidney (40 minutes from Oak Bay) and will feature tours and tastings as well as a lounge, so you can sample the spirits neat or in a variety of cocktails, such as Victoria’s Secret, in which gin mingles with coriander and maple syrup. —K.R. There are multiple options for getting to Vancouver Island. You can drive your own car, but you’ll have to take a pair of ferries, from Seattle to Bainbridge Island, and then from Port Angeles to Victoria. Other options are to leave your car behind and either catch a float plane from Lake Union (Kenmore Air) or the Victoria Clipper to Victoria, and then rent a car. The charm of Mount Vernon lies in its old-school vibes. 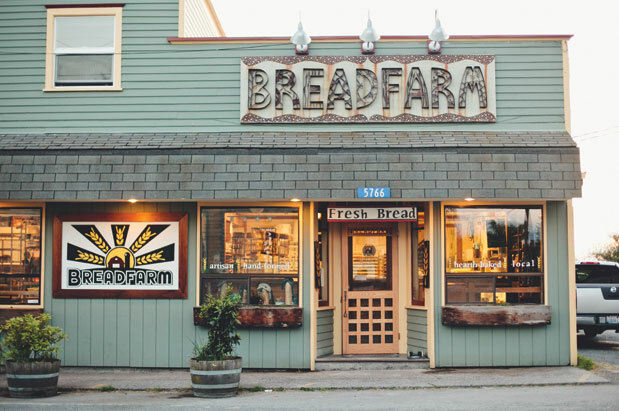 This sleepy town in the heart of the Skagit Valley—known for its springtime fields of daffodils and tulips—hasn’t surrendered completely to strip mall sprawl, keeping its small-town heart and soul alive with throwback diners and a quaint downtown. You can while away the day shopping for antiques, hoisting a pint and walking along the Skagit River as it slowly meanders through town. If you arrive hungry, and you should, hit the popular Calico Cupboard for hearty hashes, scrambles and pot pies, all made with Skagit Valley produce. Craving a little fire in your belly? The Rachawadee Thai Café is a tiny, ’50s-era lunch counter—complete with checkerboard floor and red vinyl stools—that serves up searingly spicy Thai food made right before your eyes. 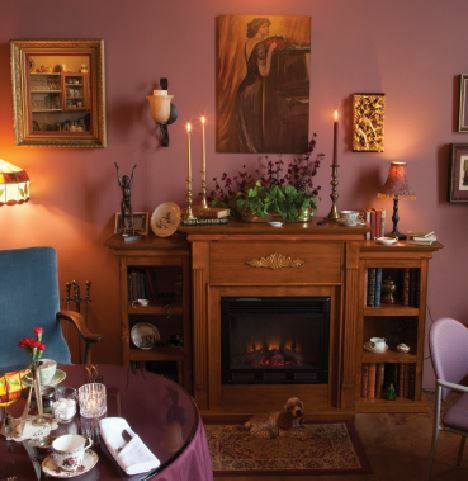 Or, before hitting the boutiques, you can lift your pinkies with a proper English-style afternoon tea at Olde Towne Grainery Tea Room & Galleria. Work off all that clotted cream along Mount Vernon’s recently completed Skagit Riverwalk Park, which takes you a mile along the Skagit River (where you can catch free live music every Thursday night in July and August). The park is just blocks from downtown’s best boutiques, so you can easily switch gears to shopping mode. Browse the shelves at the cozy Tattered Page used-book store, pick up a new project at the well-stocked Wild Fibers knitting shop and poke around in the Red Door Antique Mall or Annie Mae Antiques. For a sugar rush, take a dip into the world of high-end truffles, barks and caramels at Forte Chocolates, or grab a scoop of house-made seasonal ice cream (think strawberry basil balsamic or fig and fennel) at the venerable Skagit Valley Food Co-op. When you’re ready to rest your legs and quench your thirst, beer lovers have three great choices within a couple of blocks of each other. For Anglophiles, there’s Trumpeter Public House, which offers shepherds’ pie, Guinness on nitro and a deep list of Scotch whiskeys. Meat lovers should hit the Porterhouse Pub, with its 22 taps of craft brews and upscale pub grub ranging from wild boar burgers to 16-ounce steaks. Want your beer brewed in-house? 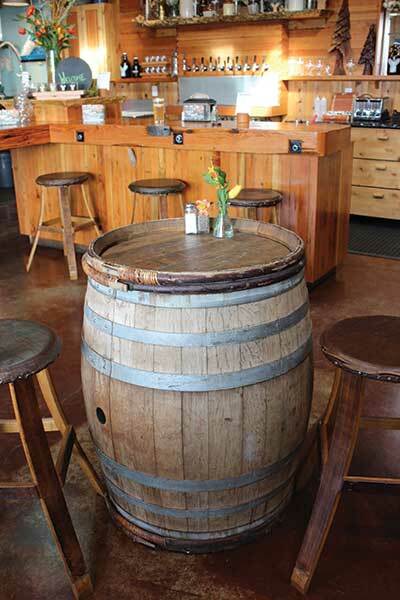 Grab an IPA or English-style ale plus wood-fired pizza at Skagit River Brewery. Afterward, you can catch an indie flick, or even a concert, at the well-regarded Lincoln Theatre. Although the “old town” area along the river is the main attraction, it’s worth venturing farther into town to check out some of the mom-and-pop joints still packing them in. Mount Vernon is about 90 minutes from Seattle via I-5 N.
The best “blink and you’ll miss it” destination on the Oregon coast is the tiny hamlet of Yachats (pronounced “YAH hots”), tucked along a stretch of coast south of Newport. Here, you’ll find none of the tourist bustle of Cannon Beach. Amenities are sweet but scarce and take a back seat to serious natural beauty: miles of crowd-free, easy-to-stroll sandy beach; towering old-growth spruce; and basaltic headlands that produce epic surf action—some of the most powerful in the world. 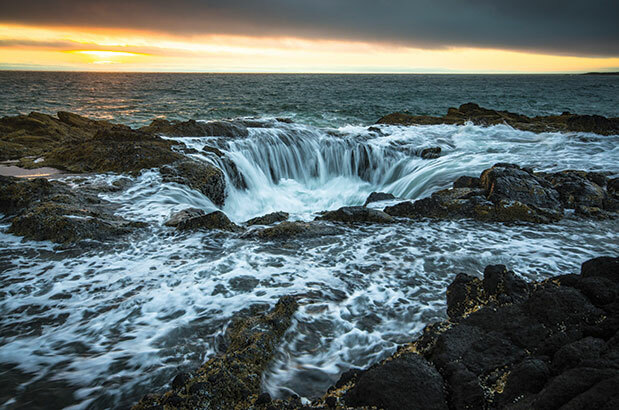 You can gape in awe at Thor’s Well, an eerie suckhole that appears to swallow the ocean. Or ponder (from a safe distance) two tide-propelled saltwater fountains, The Spouting Horn and Devil’s Churn, as the pounding ocean explodes skyward during high tide. Gentler souls are drawn to wander the massive Siuslaw National Forest, just south of Yachats, where the U.S. Forest Service maintains 26 miles of hiking trails and a cliff-top visitor center. Or head 13 miles farther south on the scenic coastal highway to the iconic and lovingly restored Heceta Head Lighthouse, a working lighthouse and one of the most photographed in the United States. Bed-and-breakfast accommodations are available in the neighboring lightkeeper’s cottages. Back in Yachats, forage for provisions at the Yachats Farmstore, home to the brand-new Yachats Brewing and pours such as Yachats CDA (coastal dark ale) and Perpetua Xtra pale ale. 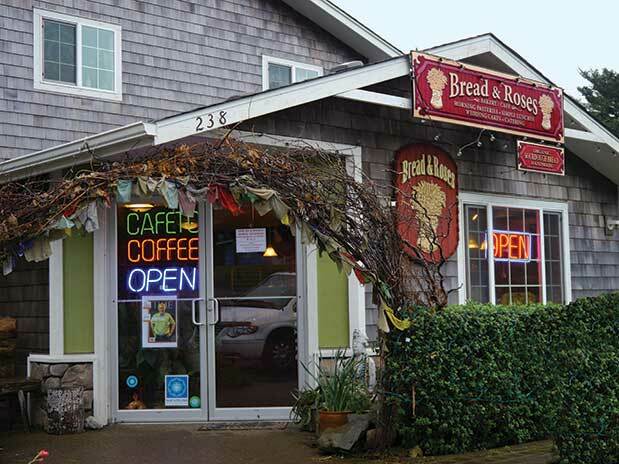 Grab a serious cuppa at Green Salmon Coffee and Tea, and organic bread and vegetarian soup at Bread & Roses Bakery. Go upscale for dinner with coastal cuisine at Ona restaurant and a stay at the luxe Overleaf Lodge & Spa. 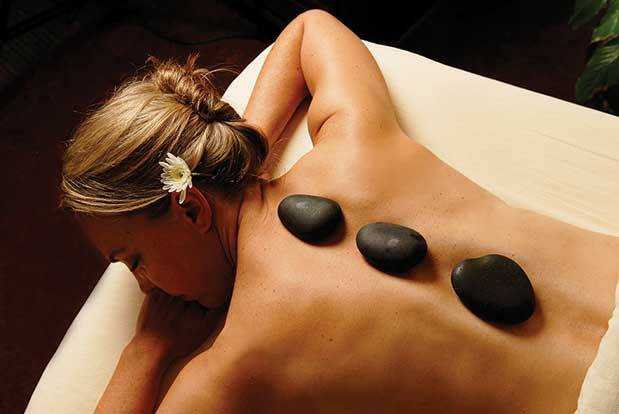 Perched on a cliff overlooking the ocean, the lodge offers rooms with fireplaces, full kitchens and laundry facilities; the spa’s signature hot sea stone massage is the perfect way to unwind after a long day of hiking. —K.R. Yachats is a five-and-a-half-hour drive southwest of Seattle on U.S. Highway 101. Take I-5 S to Oregon Route 34 W.
There are few drives in North America that reveal a more sudden and dramatic change in geography, climate and population than the two-and-a-half-hour trip from Seattle to the central Washington town of Tieton, population 1,232. After ascending the steep, rain-soaked Cascade Mountains and crossing the densely forested Snoqualmie Pass, you quickly drop into the sparser ponderosa pine and scrub of western Kittitas Valley. 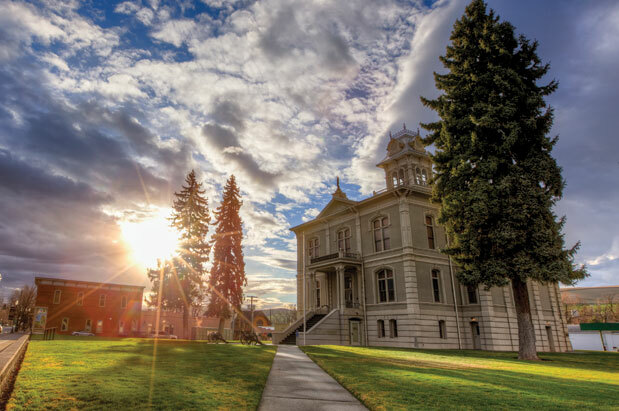 From the college and farm town of Ellensburg, you pass through the arid Channeled Scablands of central Washington before finding yourself among the irrigated orchards of the Yakima Valley. Tieton lies 15 minutes west of Yakima off U.S. Highway 12. Tieton (the name is Yakama for “roaring water,” after the nearby river) was once a bustling agricultural town where Washington’s fruit growers stored their produce before shipping it off to destinations across the continent. As the industry began its decline in the 1970s, the town’s center cleared out, leaving its warehouses and storefronts abandoned. 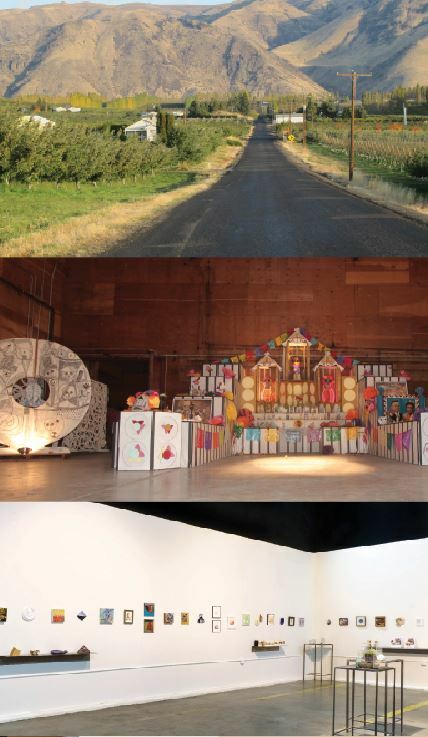 The area was repopulated and culturally transformed by a growing Latino community, which has long been a presence on the region’s farms, but Tieton’s town center became a different kind of cultural outpost after art book publisher Ed Marquand saw the possibility in its aging structures and empty streets while on a bike ride there in 2005. Corralling a group of friends and associates, Marquand began to consider Tieton’s future as a quiet, affordable place where artists and small businesses might flourish far from Washington state’s urban centers. They ultimately purchased and restored a series of buildings and named the project Mighty Tieton. The main 40,000-square-foot warehouse is now home to a dozen or so small artisan businesses; it includes screen print and laser-cutting studios, metal and wood shops, and Marquand’s Paper Hammer Studios. Tours are available by prior arrangement. Tieton today has several places to eat and drink, including the Bootleggers Cove Tavern and Central Bistro Cafe restaurant, and the Santos Bakery—a delightful Mexican panadería. 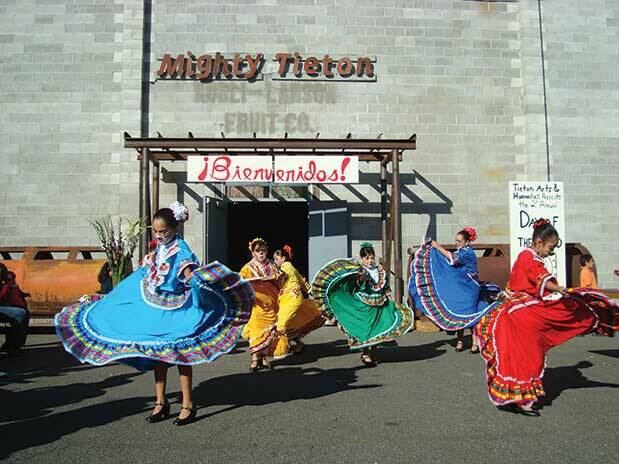 Mighty Tieton itself hosts a variety of events happening throughout the year, including the Tieton Grand Prix, a race of handcrafted motor vehicles that takes place each June; the Tieton Dia de los Muertos Community Celebration in October; and the Holiday Crafts & Antiques Bazaar in December.—J.D. Tieton is two and a half hours southeast of Seattle via I-90 E.
Bootleggers Cove, 509.673.0033 and Central Bistro Cafe, 509.949.0847; 608 Maple St.